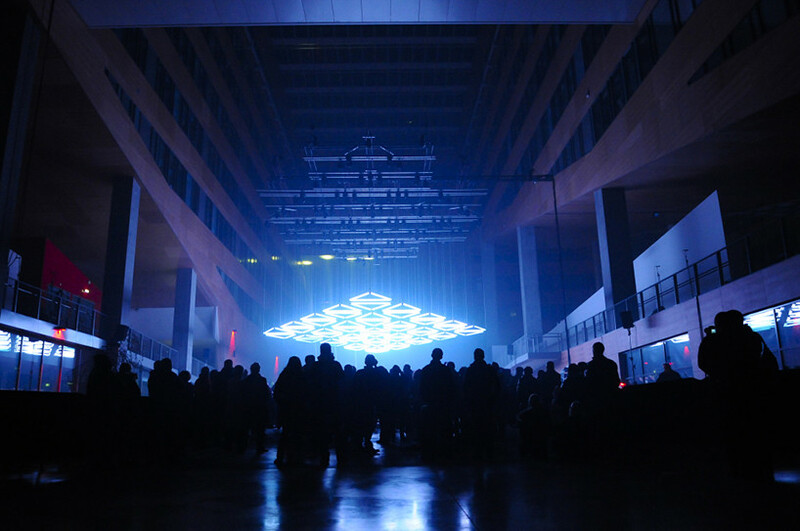 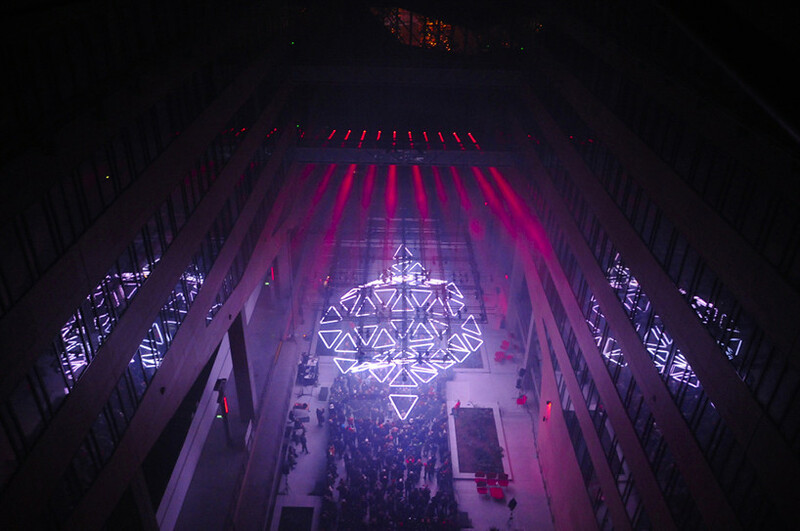 For the french “Fête Des Lumières 2013“, in Lyon, Tetro presented “grid” at the Hôtel de Région Rhône-Alpes. 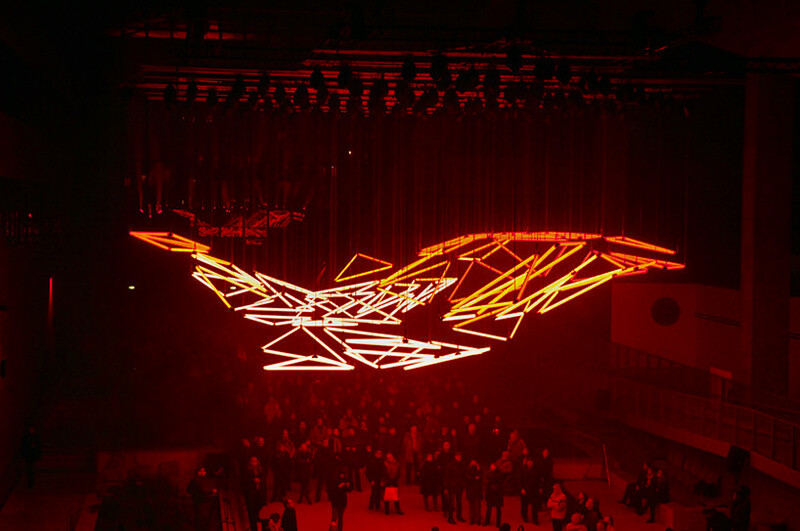 The monumental kinetic light installation was designed by Christopher Bauder Berliner, founder of Whitevoid and Robert Henke. 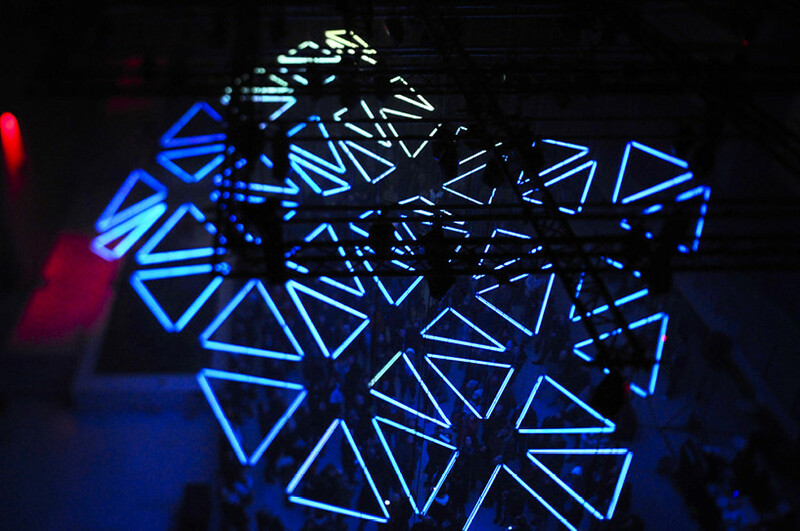 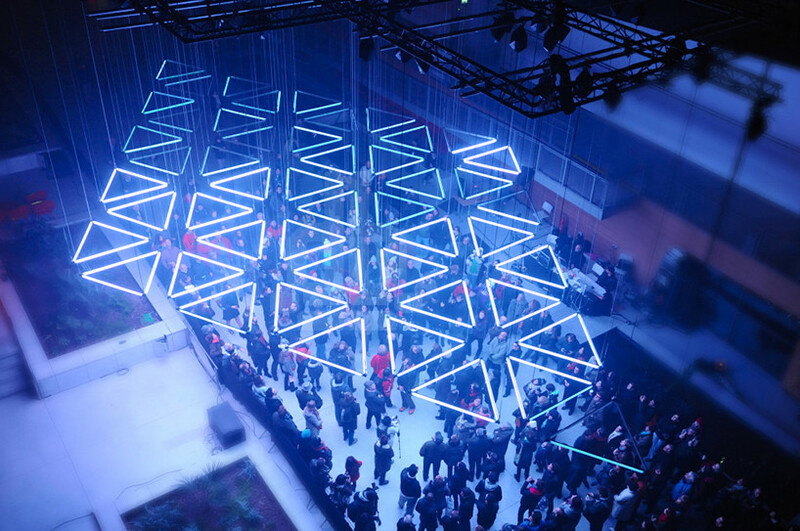 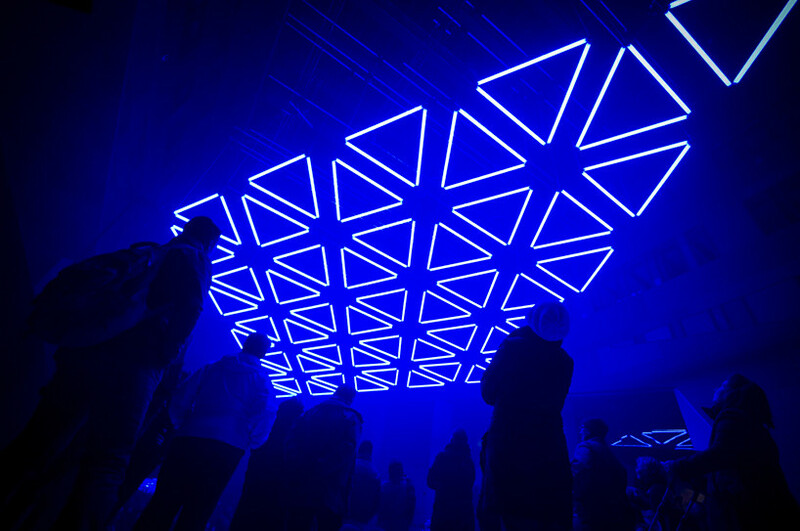 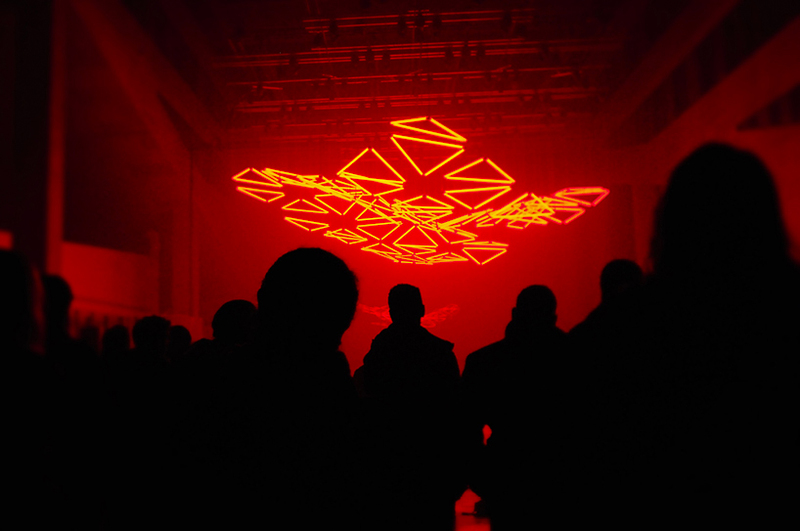 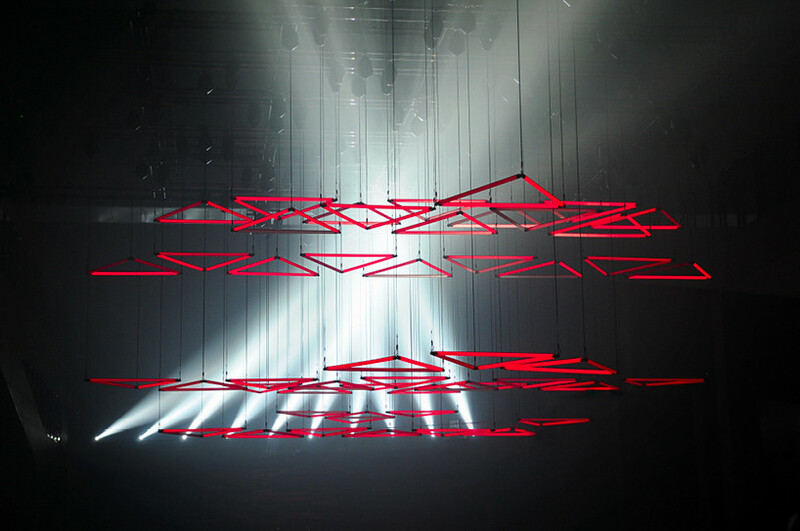 The structure is made from 150 bars of motorized suspended LEDs, forming a dynamic grid 22 meters long. 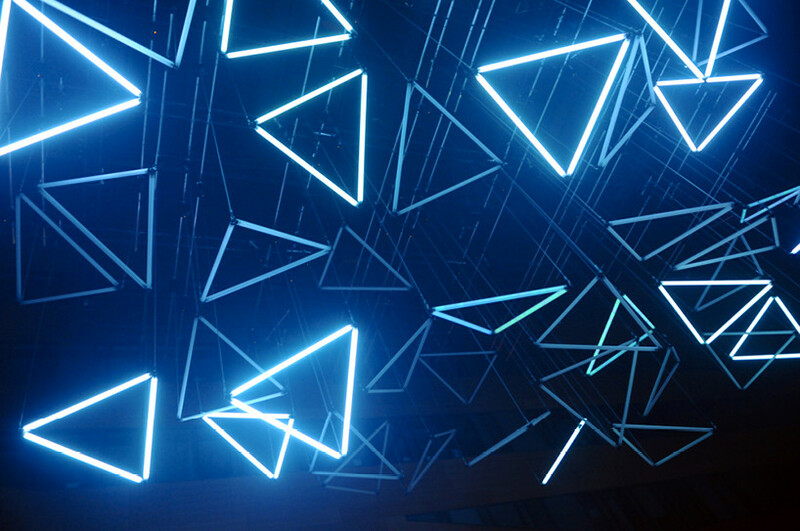 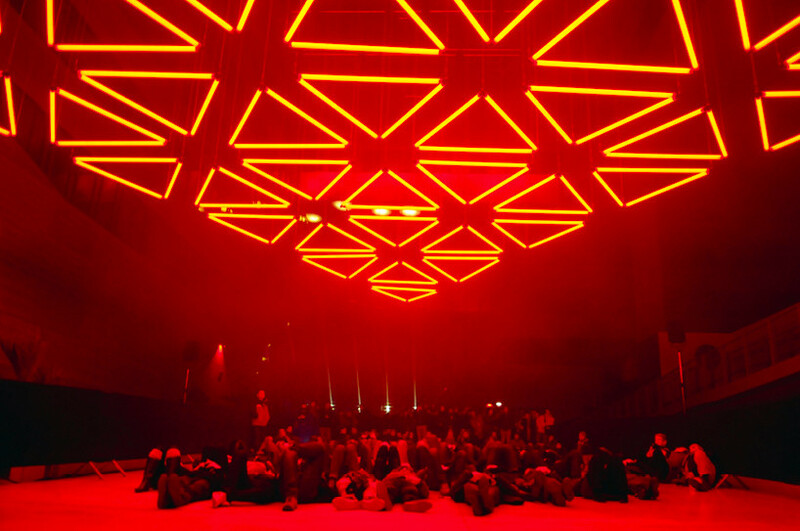 Floating triangles mesmerizingly move up and down and turn on and off according to the rhythm of music.